Rotherham road surface specialist, Steelphalt, is set to begin a major new project to extend parking spaces at the town's hospice. SteelPhalt is providing asphalt and expertise for the project which is expected to double the amount of spaces for cars at Rotherham Hospice. And the Templeborough company has also brought in some of its own clients to help bring the project to a successful conclusion. Dean Raynor, commercial manager at SteelPhalt, said: "The hospice currently has extremely limited parking facilities and this can cause problems at busy times. "The creation of this new car park, which should double the amount of spaces, should help alleviate some of those those issues. "We are particularly pleased that we have been supported in this project by Doncaster company Derek Lewis Ltd, who are preparing the site and doing all the ground work such as kerbs and drains, while Specialist Surfacing of Scunthorpre are providing the labour and machinery for the laying of the SteelPhalt asphalt. 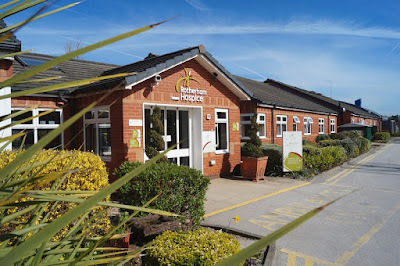 "Everybody involved is giving their time and services for free because we know how important the work of the hospice is for the people of Rotherham." SteelPhalt - part of the Harsco group of companies - has been developing and manufacturing high performance asphalt products for the UK road making industry since the 1960s. The firm's SteelStop road covering was named Global Slag Product of the Year at the 2016 Global Slag Conference and Exhibition in London. Christopher Duff, chief executive at Rotherham Hospice has expressed his gratitude to SteelPhalt and the other companies supporting the project. He said: "Their kindness is saving the hospice a considerable sum and the project will make a huge improvement to our car park. It is doubling the amount of spaces, which will benefit patients and families." He also assured the work was being carefully planned to ensure only minimal disruption for hospice visitors. The project is set to begin in early April and is expected to be finished within 12 weeks.